AlabamaAtWork: Why Quash the FISA Surveillance Warrant? As a follow-up to the OA News AP Sunday article “Trump claims memo totally vindicates him,” the FISA Memo released last week revealed what some might call prosecutorial misconduct by the FBI or DOJ attorneys who signed the FISA surveillance warrant application on Trump advisor Carter Page. The FISA Court is actual composed of seven rotating United States Court District Judges from various regions of the country all appointed by U.S. Supreme Court Chief Justice John Roberts for a seven year term. Once a quarter, for one week, one of the seven will come to the Washington to hear a FISA warrant application for surveillance related to national intelligence. 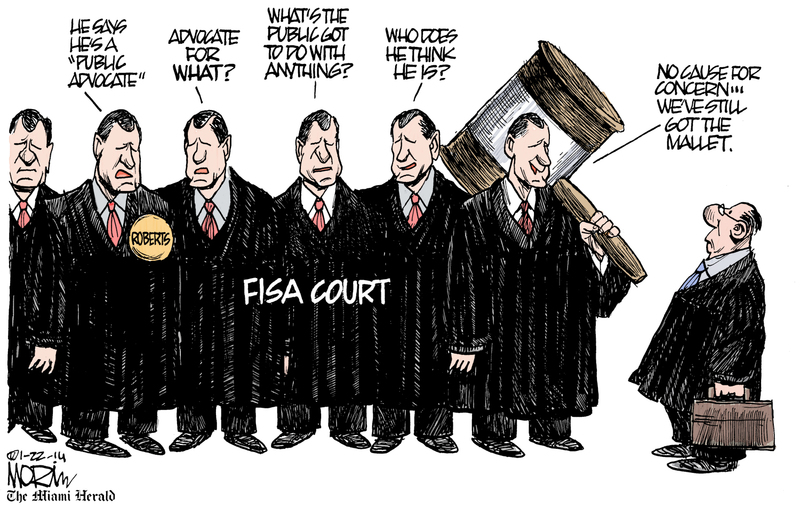 From news reports, four different FISA Court Judges heard FISA applications concerning Carter Page, most likely presented by the same FBI or DOJ attorneys. If in fact, as alleged in the FISA Memo, the FBI or DOJ attorneys failed to fully disclose to the FISA Judge that the source was not creditable, bias, political opposition research, etc. then all four FISA warrant applications can be retroactively challenged on a Motion to Quash. At that point all four District Court Judges who ruled could meet collectively to hear the Motion to Quash. If granted, all the “Fruits of the Poisonous Tree” in any manner related to the improperly granted FISA surveillance warrants would become of no legal significance. A Federal District Judge who believes an attorney was concealing facts or bias of a source, especially in a probable cause hearing, can take a number of steps to correct the injustice. It appears the FISA Memo was released to give the FISA Court a process to begin that Motion to Quash challenge, or cause Chief Justice John Roberts to take the bull by the horns in his capacity as the FISA Court judicial appointing authority, to shine a bright light sua sponte (on his own accord). If that happens, look for an argument by the Trump and DOJ lawyers that the Robert Muller appointment was one fruit of that poisonous tree. Tommy Eden is an attorney who lives in Auburn and a guest Columnist to the OA News.